This summer Free to Run embarked on an unprecedented camping and kayaking expedition in the Panjshir Valley. Eleven female participants from multiple provinces in Afghanistan participated. Not only was it their first experience in Panjshir Valley, but it was the first time they had ever camped outdoors or kayaked. It was also the first time an Afghan female had ever kayaked in the country! Upon arrival in Panjshir, the team visited the grave of Ahmad Shah Massoud, a famous Afghan political and military leader. The team then journeyed another two hours into the valley to set up a temporary camp at the base of one of the tallest mountains in the region. They had an introductory meeting over green tea and sweets with the district governor, police chief, and elders, who were all interested in their experience as female adventurers. 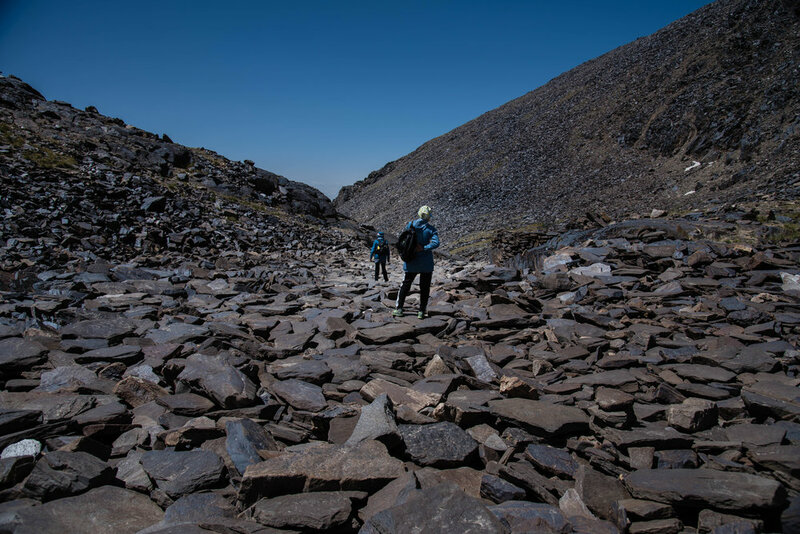 Although there were several concerns as to whether the team would be able to summit the mountain to the glacial lake at the peak, the participants managed to convince them of their capabilities with stories of running marathons and hiking through other Afghan mountains. What is the one new sport or skill you learned on this trip? After several well-wishes, the team pulled all their gear and food from the van and set off on a short one hour hike up to a plateau camp for the night. Although only two participants were formally trained on setting up tents, the others took to it with enthusiasm. All of their tents were set up before dark. After dinner around a large campfire, the team turned-in for the night. They were up again before dawn so they could get an early start and beat the summer heat. Although the climb was very steep, the girls remained in good spirits by playing music, singing, and sharing stories about their home provinces. They arrived to the lake at an approximate altitude of 4,425 meters five hours after departing from base camp just in time to picnic on the shores for lunch. A few hours of napping in the sun and exploring the lake, they started on the descent. After 10 hours of hiking, the team started their second campfire to make dinner. They talked about the day, and were very proud of what they accomplished. Some of the village elders came to visit and were happily surprised to hear of their success. “No women, not even most of the men in this village, are able to get up to the lake!” they said. The next day the team packed up camp to return to Kabul, where they would get their first lesson in kayaking on a lake in the outskirts of the city. While the original plan was to kayak the Panjshir River, the authorities were worried about the girls’ safety due to the conservative culture of the valley. Free to Run found an alternative solution which was to kayak on a lake outside Kabul. “My favorite memory of the trip was the kayak session, after days of uncertainty it culminated in such a wonderful day with nothing but huge smiles,” said Joe, the kayak instructor. Before the participants could get into boats and start practicing strokes, Joe had to teach all but one of the participants how to swim. “They were exceptional in their attitude, confidence, and willingness to try. Of all the non swimmers I have taught to kayak, which is not many, they were easily the most fearless,” he said. A few hours later, the participants were gliding through the water in their own kayaks. Others practiced swimming nearby, waiting for their turn in the kayaks. Although Afghanistan is a dry landlocked country, it is also home to many rivers and lakes traversing thousands of Kilometers. “Afghanistan has a huge potential for kayaking, both touring and whitewater. It will take time, energy, patience, and a collective effort, but in the long run it is inevitable,” said Joe. "Girls who do sports can be an example for others who live in narrow minded places. We can encourage other girls to do sports on these trips."